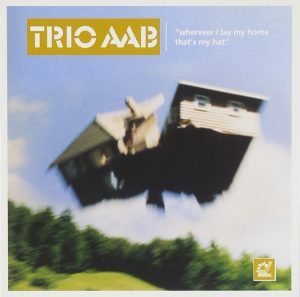 Trio AAB were formed sometime back in the late 1980’s when a bass player didn’t show up for a gig and twin brothers Tom and Phil Bancroft and guitarist Kevin MacKenzie decided to go ahead with no bass and enjoyed it. 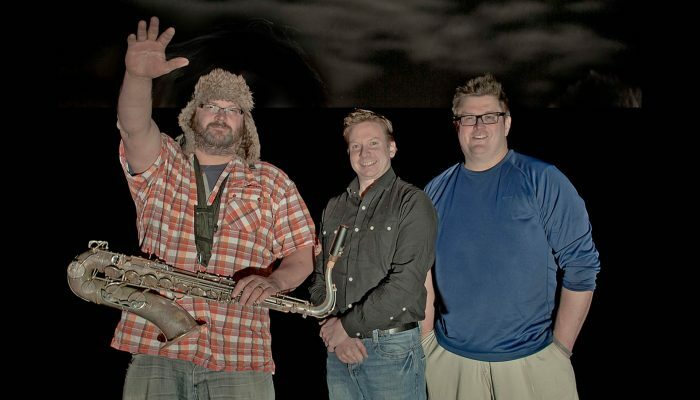 The band has since gone on to make 3 critically acclaimed Cds and to develop a reputation as being a seriously fun band exploring a whole range of influences – post Ornette bop, ECM jazz, Celtic folk, drum n bass, house, the Sound of Music, and indie rock – as well as becoming a powerhouse live act. The band have played in festivals across Europe including France, Holland, Morocco, Hungary, Bulgaria, and Germany. 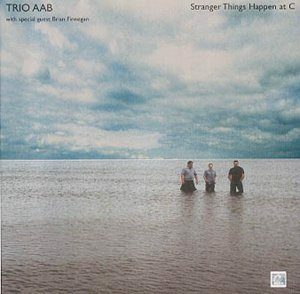 After a hiatus pursuing solo projects and having babies Trio AAB are back with a vengeance with a great new set of music . Trio AAB recently played at Alchemy Festival 2014 and Celtic Connections 2015 with Indian Violin stars Ganesh Kumaresh. Tom Bancroft (drums, bodhran) has played with Geri Allen, Martyn Bennett, Tommy Smith, Sun Ra, Marilyn Crispell , Satoko Fuji and many more. He has studied with Jo Morello, Joey Barron and Andrew Cyrille, He is a composer who writes for TV, radio and dance and leads his own big band Orchestro Interrupto. He is an active educator and artist-entrepreneur – forming the label Caber Music and the creative music education company. 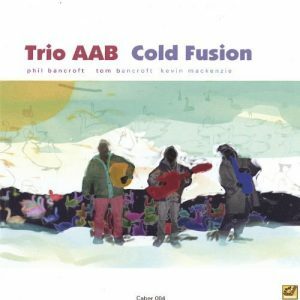 ABC Creative Music He won the Creative Scotland Award in 2005 and the BBC Jazz Award for Innovation in 2007. Phil Bancroft (saxophones) is one of the UKs top saxophonists. He has played and recorded with with Hue and Cry, the SNJO, John Rae’s Celtic Feet, Karen Mathieson, and Carol Kidd, He has recently toured and recorded with his own international quartet featuring Reid Anderson of the Bad Plus, Thomas Strønen, and Mike Walker. Phil is an active teacher and co founder of ABC Creative Music. Kevin MacKenzie (guitar) is in demand in both jazz and folk worlds in Scotland. He plays and tour with many folk groups including Fiddler’s Bid, Jenna Reid, & Keep it Up, and well as performing with his own jazz-folk 9 piece group Vital Signs and the Scottish Guitar Quartet. Kevin’s website is here.